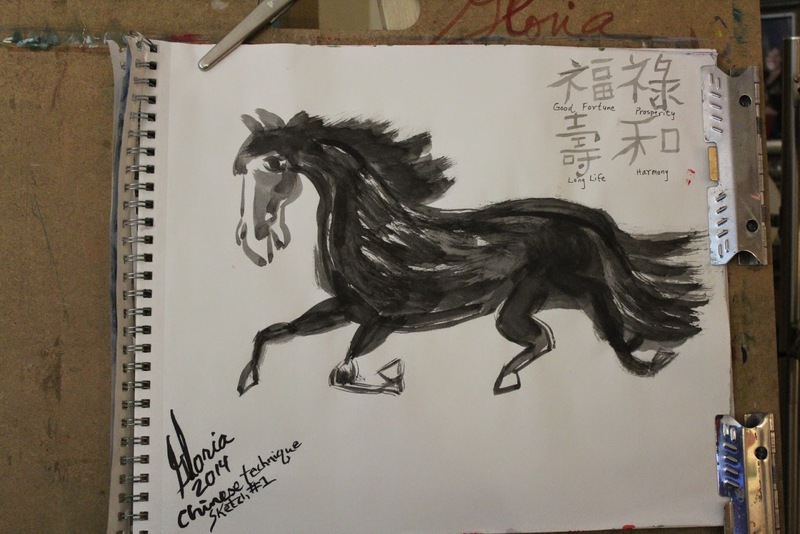 Horse sketch drawn and painted by Gloria Poole of Missouri and Georgia using Chinese brushes [which are quite different from English brushes ] and Chinese ink made by grinding ink stick on stone . 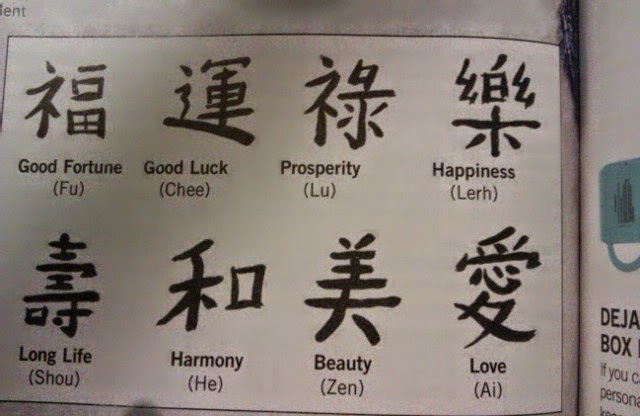 I created the Chinese characters from the reference book page that is also included, since the reference book said authentic Chinese techniques include a poem, or words of praise for whatever is in the painting. I could only create the characters that I had in the reference book. This is my first attempt to draw and sketch a horse using techniques totally unfamiliar to me, but I have drawn and painted horse about 12-13 times now since 1991. If you enlarge the photo you will see that I wrote in the English meaning of the Chinese characters. I am a U S citizen born in state of Georgia, but I studied the Southern Baptist missionaries' lives who went to China in the early 19th century, as part of a program to educate young girls in the gospel. So, my fascination with the Chinese and my dream to someday visit China have been with me since about my age of seven. See other sketches below. 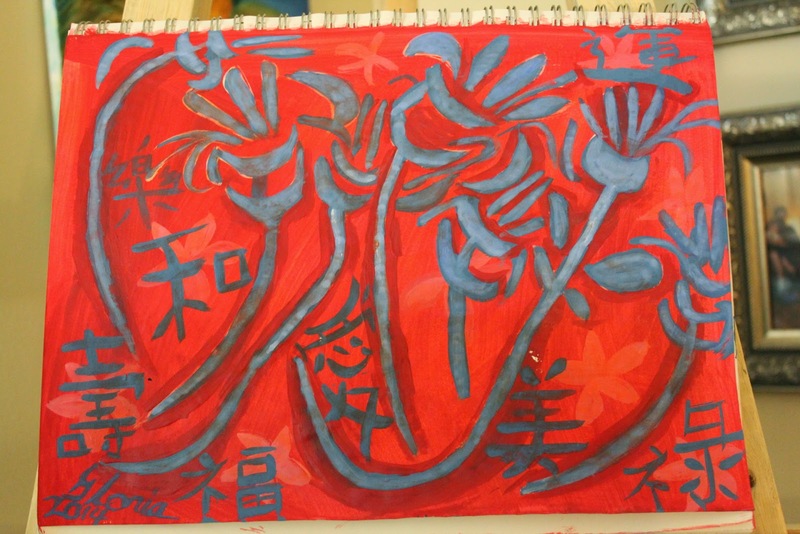 I drew and painted this yesterday after finding a Chinese brush painting illustration book on sale. I had some of the supplies for that method but didn't know how to use them. I test various art techniques intermittently. 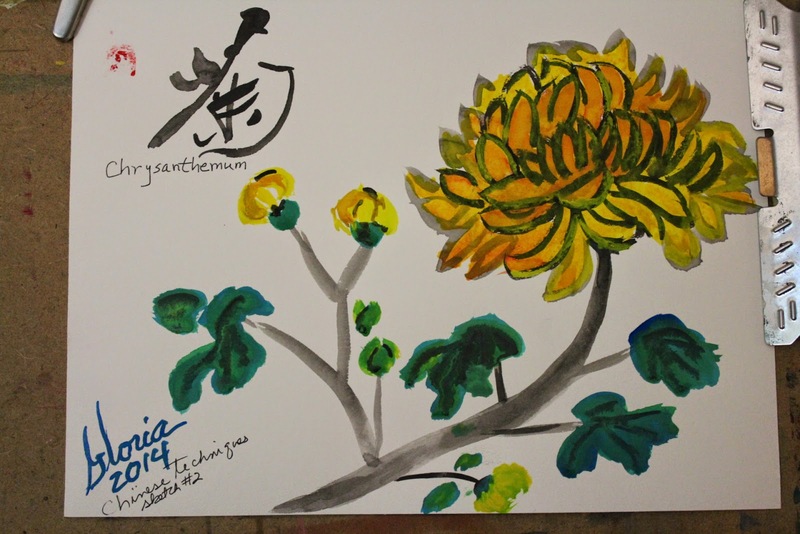 I , Gloria Poole, drew and painted this sketch of a Chrysanthemum using Chinese brushes , and Chinese ink and Chinese watercolors. It is not anywhere near the style of Chinese art, which is very exotic looking but it's a start in learning new techniques. A chrysanthemum in a painting means good wishes. Chinese characters painted into Japanese style flowers as seen from Metropolitan Museum tweet [@MetMusem] ; and I [Gloria Poole] tried to replicate it and added in the characters to make it unique to me. I drew and painted this earlier this year . The Chinese characters in reference book for art making that I used to create the Chinese characters in the above sketches. 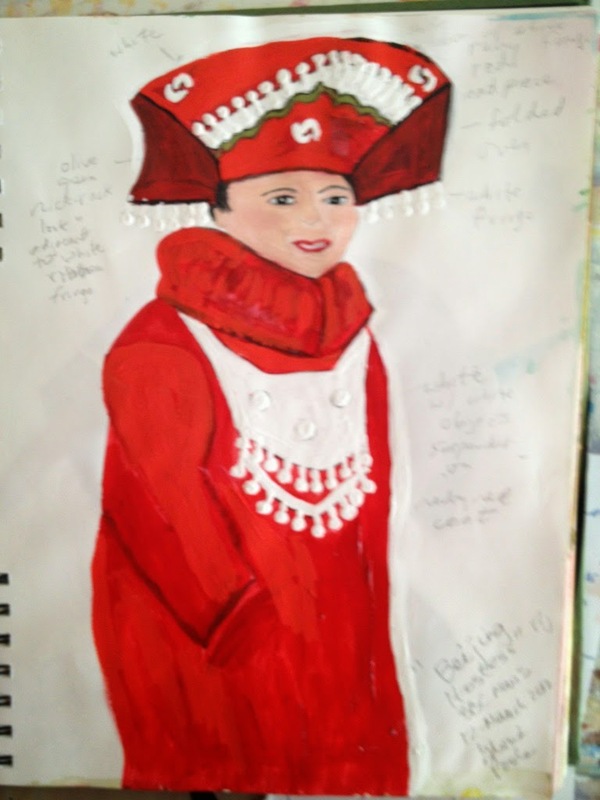 Chinese tour guide sketch by Gloria Poole of Missouri and Georgia, yr 2013 I think; on paper . 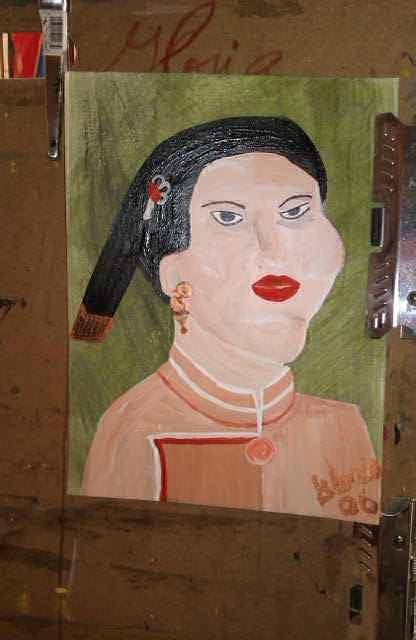 "Mandarin Orange Lady" Chinese Lady ethnic oil painting by Gloria Poole of Missouri [me] but I painted this in year 2007 when I lived in Denver CO, zip code 80203. I moved to Missouri on Oct 31, 2009; and I removed Pappas name from my name by order of Arapahoe County District Court Judge at time of final decree of second divorce in Oct 2007. I re-photographed this in Missouri and have the original, and this is as it looks sitting propped up on dining room chair. 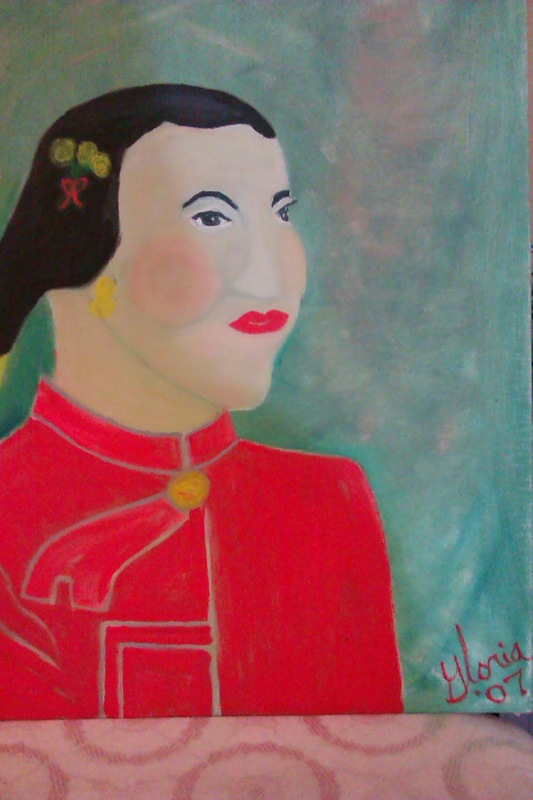 I, [Gloria Poole] , drew this sketch of Mandarin Orange Lady so named because of clothing of authentic person I saw in news but I changed/ adapted the face to not make exact image of living, private person. Of course the word Mandarin refers to a Chinese language [and a duck too] . This was the preliminary sketch for the oil painting above. When I painted it in oils, I changed it quite a bit. 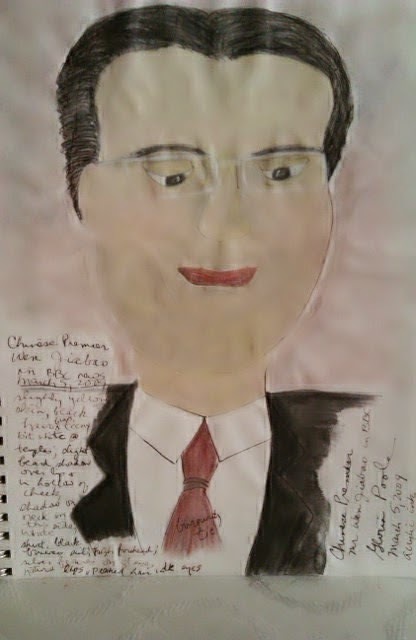 "Chinese Premier Win Jiebao" sketch by Gloria Poole of Missouri as I [ Gloria Poole ] saw him in the BBC news in yr 2009. This partially done sketch is in acrylic and ink. Also, I put my July 4th sketch I created on my blog https://gloriapoole.blogspot.com. For the record: I am a white, single again [divorced twice] Southern Baptist woman, and the natural , biological mother of two grown daughters who are Jennifer and Leigh, and a prolife blogger/activist., personhood amendment promoter, poet, author, artist in all mediums, and Registered Nurse licensed in Missouri. I , Gloria Poole, was born in the state of Georgia and am a US citizen by birth. Copyright Notice: this blog and all content on it was created by me Gloria Poole currently residing in Missouri. I drew, painted, signed, photographed, uploaded all photos to this blog of all the art I have put on this blog, and I have the original art of all art I posted to this blog in tangible form. This blog and its content may not be transferred to anyone anywhere, nor printed at remote, nor have domains forwarded to it that do not belong to me, nor be saved to disk, nor downloaded, nor copied, nor photocopies by anyone, nor reproduced in any method [other than me as creator of original content as it is intellectual property covered by U S copyright law, and I, Gloria Poole, own all rights to this blog and to all content on it. The previous photos of art I created , signed and photographed during years 1991-present also belong to me exclusively. I have never sold nor transferred my copyright to any art I have created, except in about 5 cases in which I sold the art itself and the copyright. I have not signed any blanket waiver of my copyright to art I create ever at any time.